Comprised of parent company Northern Rivers Family Services and member agencies Northeast Parent & Child Society and Parsons Child & Family Center, they are a family of human service agencies who work together and are committed to helping children, adults, and families. Their quality of care, depth of programs, combined size and passion for the mission make them a leading provider of care, health, education and research related services. Informed by a 188-year heritage, their 1,300-strong workforce provides services for 16,000 children, adults, and families throughout 28 office locations and in the communities of 35 counties in upstate New York. In 2012 Northeast Parent & Child Society affiliated with Parsons Child & Family Center under parent company Northern Rivers Family Services, to become an $80 million operation that exists today. They knew they needed a robust budgeting and reporting solution in order to make the large complex organization run smoothly. Prior to the merge, Northeast Parent & Child Society had already adopted the PowerPlan solution and knew that it was the way forward for both organizations, leaving behind linked spreadsheets, massive binders, and manually distributed data. Combining the budgeting and reporting across three different organizations, each with many complex overhead allocations along with the need for numerous ways to slice and dice the data across those organizations, is no simple task. PowerPlan included all the tools needed for the job. The system has significantly streamlined the process while providing over 50 system users with the financial data they need to run their programs effectively. We spoke with the assistant controller of Northern Rivers, Thomas McBride about the top business benefits his team and the organization have found with using the PowerPlan system. Northern Rivers uses Questica’s PowerPlan allocations tool to distribute administrative overhead costs to programs. Northern Rivers distributes allocated costs on different factors such as square footage or full-time equivalencies (FTEs). Tom explained that with 140 cost centers and with 50 users it’s also important to take the administrative burden off of the finance team when preparing the budget. From the start, the ability to build payroll budgets to the employee level was a key element of the PowerPlan system for Northern Rivers’ process. Tom explained that they now keep a “Forecast” scenario in the system that is updated throughout the year with payroll changes. This gives the team real-time access to answer questions like “how many vacancies do we have in each department?” and quickly run a report to view vacant records. With over 1,300 employees, viewing accurate payroll data in real-time, with updated forecasts is vital for an organization such as Northern Rivers. It allows not only the budget team, but also the program managers to have access to view the payroll numbers within their departments. This has enabled Northern Rivers to overall improve their workforce management process. By setting user level access, Northern Rivers can control the data that each user can view or add to the system. The security settings are granular enough to grant or deny access to any combination of the 140 cost centers including whether the user should have access to view or edit the underlying payroll details. 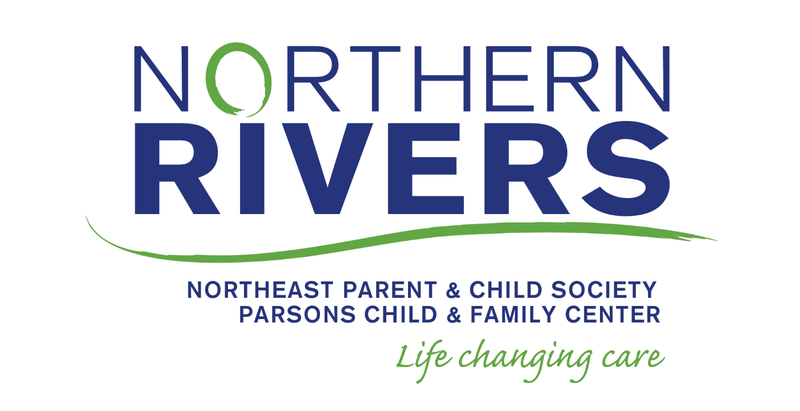 Northern Rivers is comprised of three companies: Northern Rivers, Parsons Child & Family Services, and Northeast Parent & Child Society. The team not only needed the ability to view each company individually or consolidated, but also to view any number of their program service lines across the companies. The PowerPlan system provided Northern Rivers the capability to organize multiple roll-up structures in the manner that fit their needs. With the growth of the organization and the affiliation, the combined Northern Rivers entity found itself with offices all over upstate New York. Prior to the rollout of PowerPlan across the combined Northern Rivers, holding budget meetings with program partners was quite a challenge as leaving your office meant leaving your data. Northern Rivers now utilizes the PowerPlan cloud-hosted system providing users access to the system from anywhere. During a budget meeting, from any office, the managers can login to view current results against budget or enter budget data and see the real-time impact across the organization. Northern Rivers has grown from an organization of 400-500 employees and a $38 million annual operating budget to over 1,300 employees with an $80 million annual operating budget. With that growth, PowerPlan has been a pivotal tool in bringing staff in the field, those who should be responsible for their budgets, into the process. Over 50 key users can now view budget assumptions, ongoing results, and provide their own feedback and analysis. The system has greatly reduced the volume of questions that the finance team would previously have to answer for the program managers. Thanks to more efficient budgeting, Northern Rivers is brilliant.